The Black Widow weighs 190g with a dimension size of 128mm in height by 44m in width by 26mm wider. 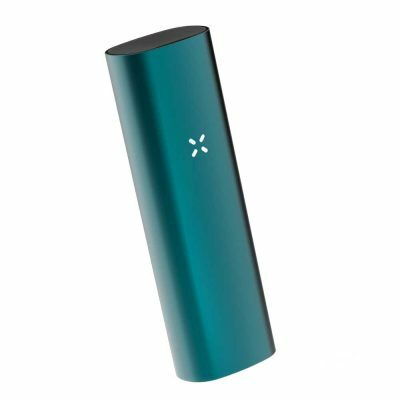 It is a little bit taller than the original PAX and although the Black Widow is not as small as the PAX 3, it will still fit in most pockets – a bit bulkier thou. The overall finish of the Black Widow vaporizer is made of high-quality aluminum alloy. So the Black Widow is light, durable yet shiny in appearance. 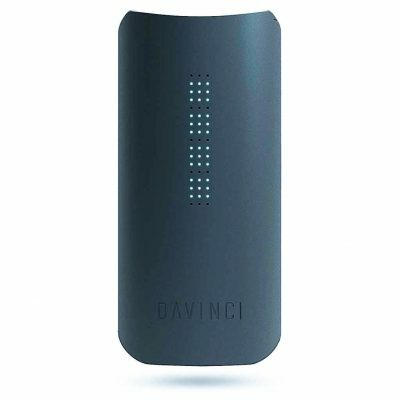 Unlike, other dry herb vaporizers that have plastic made mouthpiece. The Black Widow’s mouthpiece is made of high-quality metal, with a rubber seal on its base and a magnetic locking feature. 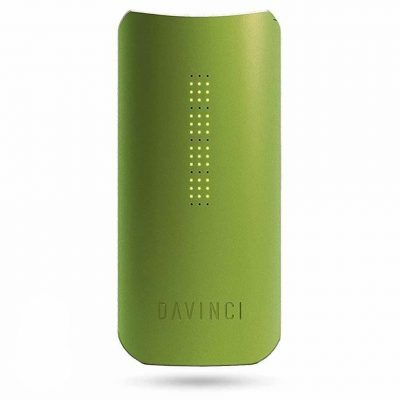 The rubber seal ensures there’s no leakage of air and the magnetic locking feature keeps the mouthpiece stay in place. So you don’t have to worry about the mouthpiece quality degrades and loosen after repeated usage. This unit uses ceramic heating chamber that is deep and narrow. The Black Widow can store about a half gram of herb. 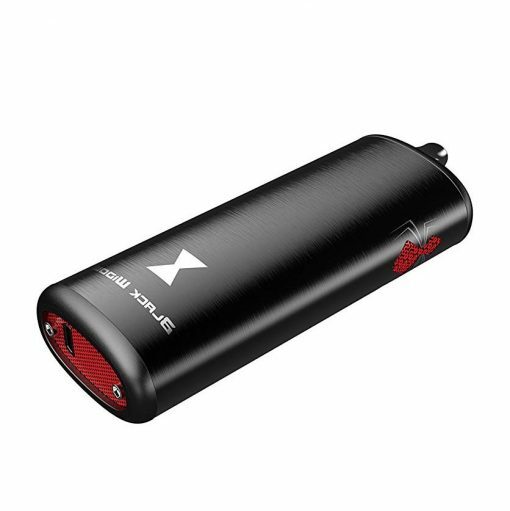 The Black Widow is a conduction style vaporizer similar to PAX 3 and DaVinci IQ, that uses ceramic heating chamber. This means you get the most decent use of your dry herb or concentrates. It works great for dry herb, but I don’t really like it with wax, and the wax pot is also very hard to use. Black Widow gives a decent amount of vapor when I put it on higher settings. 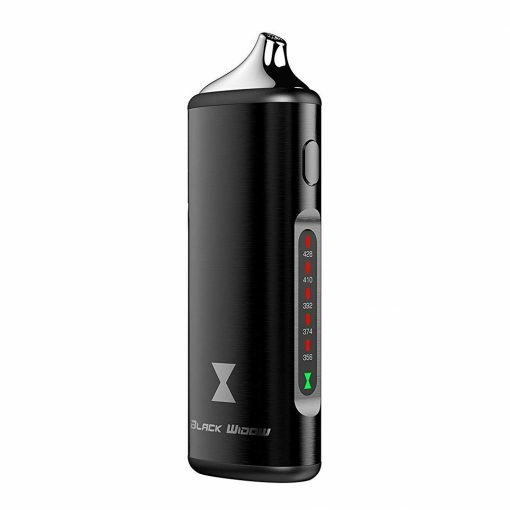 BTW, the Black Widow offers five temperature settings ranging from 356°F up to 428°F. 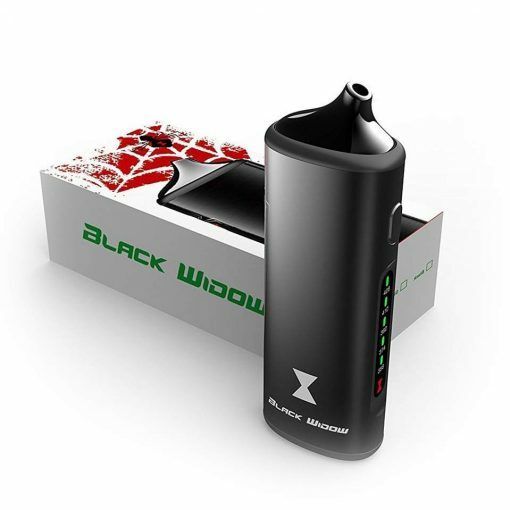 Note:The USB wall charger for the Black Widow is for the manufacturers country and should not be used. The USB cable can be connected to any standard 5 Volt USB charger like used with iPhone, tablets etc, or directly to computer USB port for charging.